P-2708. A COLIMA CERAMIC MASK, COMALA REFINED STYLE, PROTOCLASSIC ca. 100 B.C. - A.D. 250. Height: 7.1 in. (18 cm.). Provenance: From a New York Private Collection formed during the 1960s-‘70s. 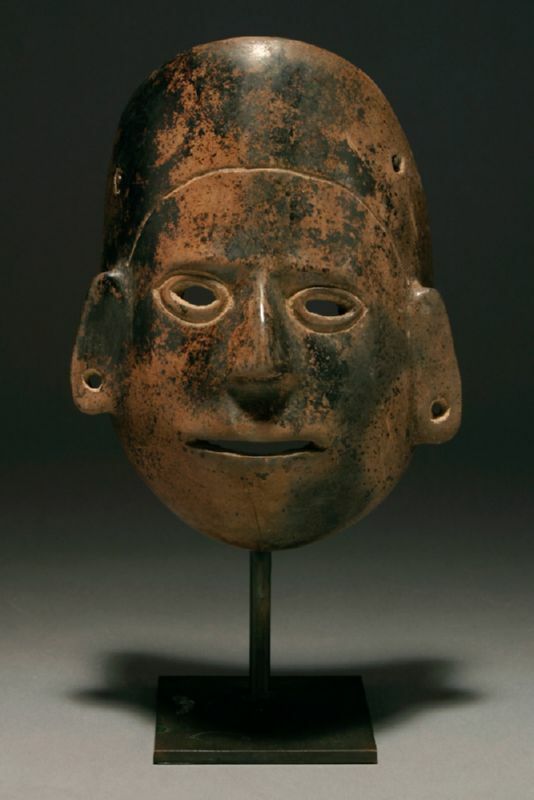 This mask is lifelike, with pierced lidded eyes, pierced mouth and ear lobes, and has a typical Colima reddish-brown to brown slip with manganese oxide deposits upon the surface.